In an effort to improve WCCCD student access to all District communications we are now requiring that all academic students have a free WCCCD student e‐mail account. This will enable students to have instant access to important student and District information and provide each student with a safe and secure method in which to communicate with WCCCD. Beginning with the Fall 2010 semester WCCCD will require all academic students to have a WCCCD email address. All official college communication to students will come through WCCCD student e‐mail accounts. WCCCD students will be responsible for communications sent to this address by the District as we switch our student communication process from a paper system to e‐mail. What does this mean for WCCCD students? Students will have instant access to official communications about their classes, billing statements, financial aid, student accounts, retention alerts, emergency alerts, etc. and these will come only to your WCCCD student E‐mail (no longer on paper). Messages sent by students to WCCCD from their WCCCD Student E‐mail account will be secure and will not be at risk of being held as “spam”. Students will be more informed and have the ability to take charge of their education at WCCCD! Simply register for any academic class and you will automatically be provided with a WCCCD student e‐mail account. Please note it will take 24 hours from the time you register for classes for your WCCCD student e‐mail account to be activated. 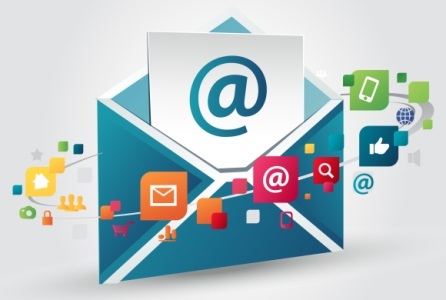 Check your e‐mail account regularly to stay in‐touch and in control of your education at WCCCD!